The Connect community was invited to take part in a poll to put forward the burning questions they wanted answers to for this special edition. We can now reveal the findings – be warned some of the answers are hilarious and one in particular is just plain weird! More than half of you want to know what household products RNIB has helped to make accessible that you might not know about. RNIB was a founding member of the W3C, the main international standards organisation for the World Wide Web. It was also involved in the development of the Samsung Smart TV, the new Bank of England £10 note, Amazon Kindle Fire tablets, iOS software platform and various Microsoft products and services including Windows. Nearly half of you want to know the most bizarre request received by the Helpline. 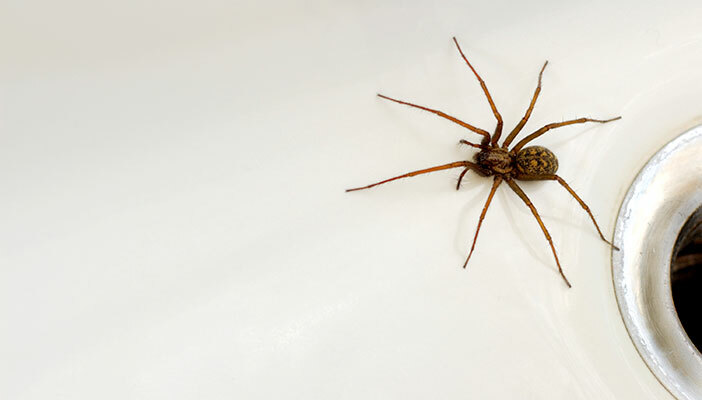 One caller was most concerned about whether they’d know if there was a spider in the bath after being recently diagnosed with sight loss. Safe to say the caller was terrified of spiders! Another highlight includes someone asking where they could buy some “luminous tracksuit bottoms”. It’s not only the Helpline that has some unusual requests; the Transcription Service at Ivybridge was once asked to produce a braille transcription of detailed instructions on how to deal with itching inside a plaster cast. More than a third of you want to know the weirdest fundraising activity someone’s ever done. From the weird to the wonderful, one of the biggest efforts made to fundraise for RNIB goes to a trio from St Helens. They each had Sooty tattooed on them to raise money and thank RNIB for the support given to their friend after he lost his sight. If you want to be impressed, check out @thehockeyblogger on Instagram showing off his hockey skills while wearing a blindfold as part of RNIB’s In the Dark fundraising challenge. Thirty-four per cent want to know which high profile companies RNIB has worked with over the years. There are many, such as global giants Amazon and Samsung. In addition, the charity is a member of Google’s Global Accessibility Strategy Board and Microsoft’s Global Accessibility Summit. RNIB was also nominated by Samsung to carry the Olympic Torch on the second day of the Torch relay at the 2017 Winter Olympics in Pyeong Chang. RNIB’s Robin Spinks was given the honour to do this on behalf of RNIB and Samsung. A quarter of you asked what’s the most popular book title. We can’t put a finger on the exact books, but some of RNIB Library’s most popular authors include Jeffrey Archer, Catherine Cookson, Peter Robinson and Agatha Christie. It seems we have some crime fiction fans in our midst. Sixteen per cent asked whether any of the Connect Community had their work published as a book. There are some budding authors and talented writers in the Connect Community. Diane Woodford has written a book called Living with Sight Loss: a Type 1 Diabetic’s Life Story. And Maxine Turkington’s Cooking for VIPS: a Cookery Book for the Visually Impaired offers handy kitchen tips for blind and partially sighted people. Fifteen per cent of you want to know how many hospitals RNIB work in. RNIB employs Eye Clinic Liaison Officers (ECLOs) in 57 eye departments across the UK. This is a total of 63 ECLOs, seven of which provide locum cover. There are a further 41 ECLOs who are employed by the NHS or local sight loss charities who have completed the RNIB ECLO qualification, accredited by City University London. These ECLOs work to RNIB’s Quality Framework and Good Practice Guidelines. RNIB also delivers the only ECLO Continuing Professional Development through a series of seminars held three times a year. Fourteen per cent of you want to know how many people listen to RNIB Connect Radio. RNIB Connect Radio has over 154,000 blind and partially sighted listeners per week. Twelve per cent asked what content was most retweeted on social media. The most popular tweet with 433 retweets was about how to enable image descriptions on Twitter. A 10th want to know who is our most iconic campaigner. Marsha de Cordova is the Labour Shadow Minister for Disabled People and is registered blind. Marsha recently supported RNIB’s Personal Independence Payment (PIP) campaign to make assessments fair and accessible. Marsha met with the Minister for Disabled People and asked a series of questions in Parliament. She continues to promote this issue with the government and supports RNIB. And finally five per cent of you want to know how many roller tips we’ve sold. We sell around 24,000 canes per year, the majority of which are symbol canes. This is followed by long canes, guides canes, and a tiny fraction of special order canes. Around 13,000 accessories are sold each year, including roller tips and replacement tape.